At twilight the red doors beckon you to leave the everyday world behind. 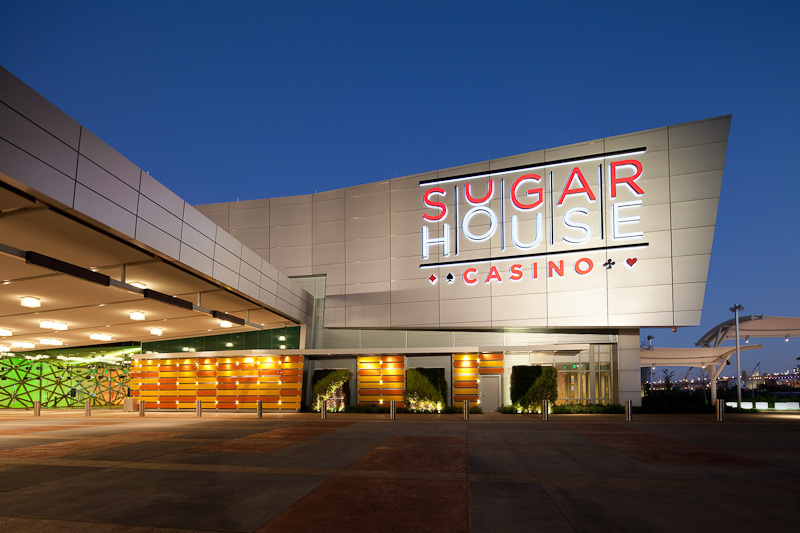 The SugarHouse, Philadelphia's very first casino, had its grand opening at the end of September. The casino sits on the former site of the Jack Frost Sugar Refinery and is appropriately named. We were lucky enough to be some of the first to see it from the inside. 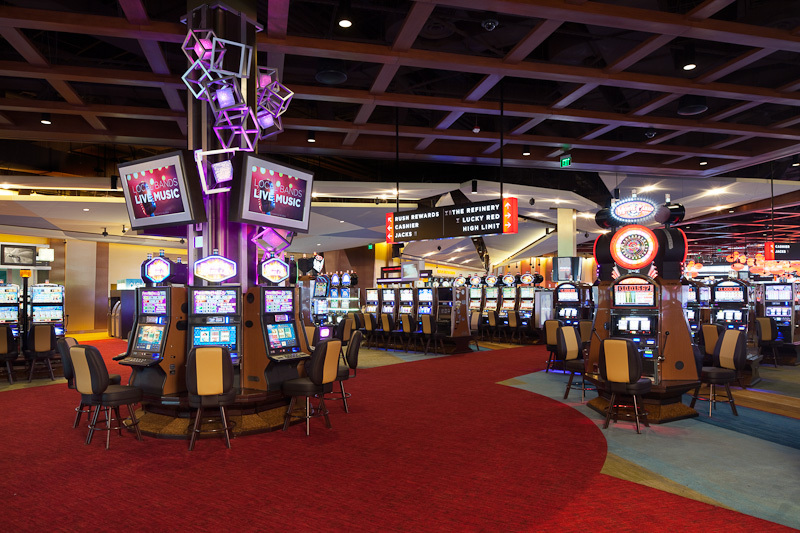 We were chosen by the construction company, The Keating Group; and the architects, Cope Linder Architects, to document the casino. Drinking and gambling are a natural combination. Once operational, the casino would be open 24 hours a day leaving only a narrow window of time to photograph the interior spaces. Construction would be completed just before the grand opening. The timing was tight, but more importantly this would be the last time that the interiors would be fully empty of patrons. The casino interiors feature many different types of light fixtures. It was necessary to carefully add our own additional lighting in ways that would not dilute the mood and atmosphere of these spaces. A slot machine for every budget.